The Pope John Paul II Award enables participants to take an active part in the life of their Church - in the life of their community and society. It also enables young people become more aware of the teaching and role of the Catholic Church in the world and to engage at a deep level with Christ. From chatting with young people from all over our diocese I am convinced that many want to be involved in our Church. We, as a Church, need to offer young people real and meaningful opportunities to play their part in the building up of God's kingdom. I thank the Knights of St Columbanus for their generous sponsorship of this project and I commend the Diocesan Youth Council for its energy and vision. Finally I pray God’s blessing on all who will benefit from their involvement in the Pope John Paul II Awards. Awards are earned by taking part in parish and social activities – 1 hour per week over 8, 14, 20 or 26 weeks. Award Top-Ups are given in recognition of the extra activities that Award participants are already involved in. Top-Ups will go towards the total number of hours an individual has to complete. Each year young people from the Diocese travel to Lourdes accompanying pilgrims with disability as part of the HCPT pilgrimage. Working in Lourdes with such diocesan groups can be part of this Award. 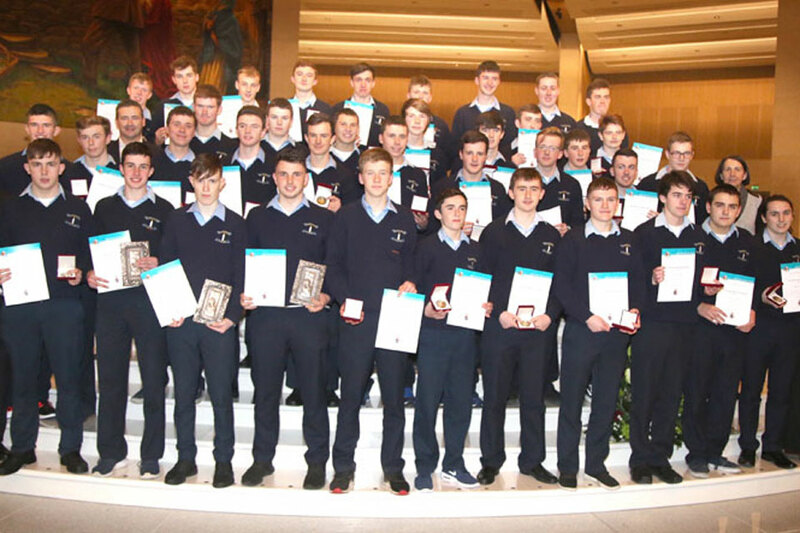 Participation in the annual Tochar Pádraig organised by the Diocesan Youth Council is also a way to gain Award Top-Ups. This pilgrimage takes place over three stages culminating with the Annual Youth Pilgrimage to Croagh Patrick held in May. Each year a number of junior members of the Legion of Mary travel to Great Britain to work in parishes. During this time they visit homes and offer the Catholic faith to all whom they encounter. Many third level students undertake humanitarian trips to Third World countries during their summer break. These trips can also provide an opportunity for Top-Ups for the Pope John Paul II Awards. World Youth Day is an international festival of Catholic faith organised every three years. Pilgrims who travel to this wonderful event participate in a six month preparation programme. The Award handbook explains in detail how the Award is run and who is responsible for running the Award in your diocese. The following forms are required to be completed by each Award participant. Your Award leader will be able to assist you with any questions you have.